tag. This is basically negating the potential value you can obtain through a title tag. If you want your code to stay valid and you want to benefit from the value inherent in this essential HTML element, you should use just one title tag for every page and make sure it is in the section instead of elsewhere. As the keyword relevance in the title tag is in descending order, you should always put branding in the end unless your brand name is frequently searched. Also, in the case of pages other than your homepage, you can leave it out of the title tag altogether if you have other competing keywords in it. 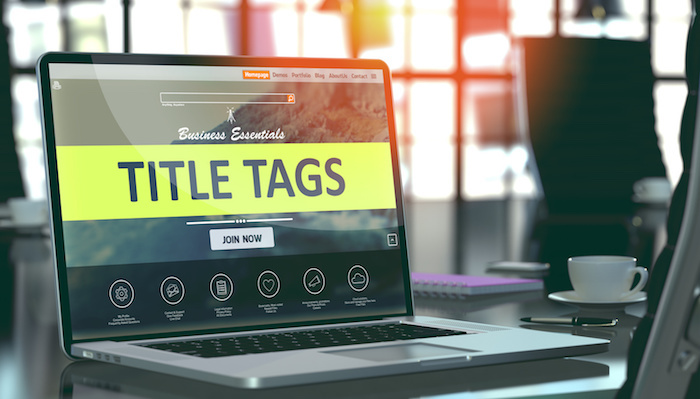 Long title tags are not going to earn you any points with search engines. The relevance of the keyword will end up at zero if you have exceeded a certain length. Also, the blue-link text in the search engine result pages also shows so many characters before it is truncated. It is best for you to stick to 70 characters along with spaces when you are writing a title tag. Otherwise, ellipses changes are going to truncate your tag length. Keep these tips in mind and you will be able to write effective title tags for better SEO.